November 2013 Archives - Clarksville Sports Network - Clarksville Tennessee's most trusted source for sports, including Austin Peay State University. 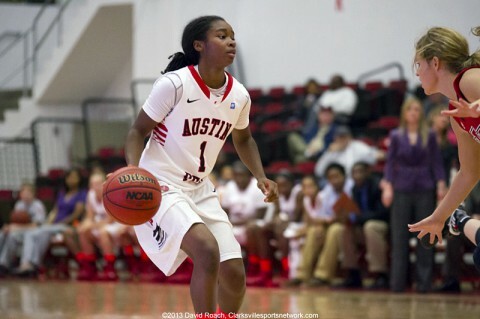 Clarksville, TN – One week after an admittedly sub-par effort on both ends of the court, Austin Peay State University women’s basketball team put together a complete effort in an 81-60 victory against Central Arkansas, Saturday night, at the Dunn Center. Paradise Island, Bahamas – Tennessee took an early lead and cruised to an 82-63 victory over Wake Forest in the fifth-place game of the Battle 4 Atlantis on Saturday afternoon. The Vols (5-2) were led by junior Jarnell Stokes, who posted his third double-double in as many games in the Bahamas with a season-high 21 points to go along with 10 rebounds. Washington, DC – A slow start to the second half proved costly for the Lipscomb men’s basketball team in a 70-49 nonconference loss to homestanding Georgetown on Saturday at the Verizon Center in the nation’s capital. “Today was a tough matchup for us,” said Lipscomb head coach Casey Alexander. “We are undersized and outmanned in every game we play physically. Today’s game was exponential in that regard. Nashville, TN – The Vanderbilt Commodores managed to send their seniors out on a winning note when Carey Spear kicked a 38 yard field goal with 39 seconds left in the game to defeat Wake Forest 23-21. The Commodores were not expected to have this much trouble with their ACC opponent, but after their emotional win over in-state rival Tennessee last week, a let down was a real possibility. Indianapolis, Ind – The No. 17 ranked Tennessee State football team won its first playoff game since 1986 with a, 31-0, victory at Butler on Saturday. The TSU defense held the Bulldogs (9-4) to 257 yards of total offense, forced three turnovers and notched its first shutout since its, 31-0, victory over Southeast Missouri on Nov. 11th, 2006. Clarksville, TN – Austin Peay State University freshman linebacker Antonio Turner and junior safety Johnathan Shuler have been recognized with College Sports Madness Ohio Valley All-Conference honors. 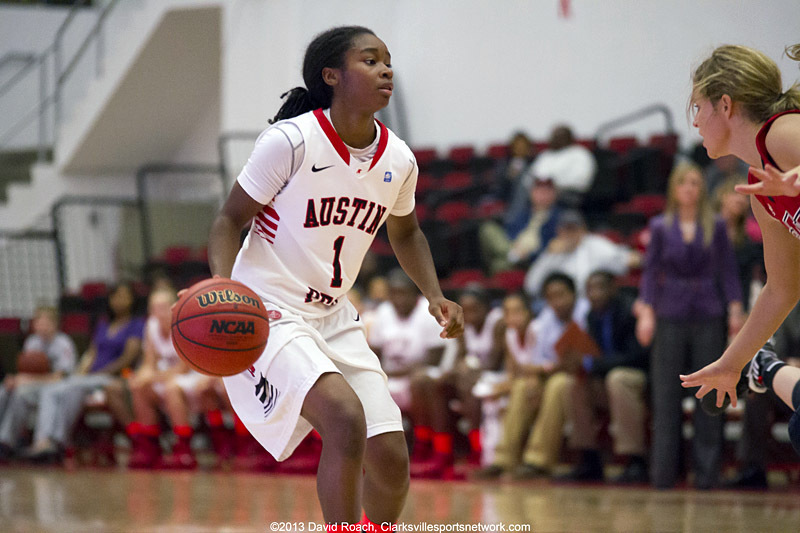 Clarksville, TN – For the first time since 1999, Austin Peay women’s basketball team will play a home game during the Thanksgiving Break when it hosts Central Arkansas in a 7:00pm, Saturday contest at the Dunn Center. Nashville, TN – On Saturday, the Tennessee State football team will play in its first postseason game since 1999 when the squad travels to Butler for the opening round of the NCAA Division I Football Championship. The Tigers were off for the first time all season last weekend, giving them a chance to get some of their banged up players healthy. 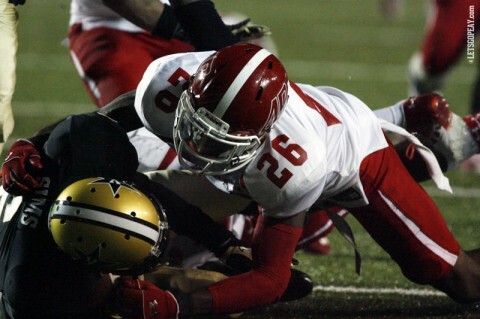 Clarksville, TN – The Henry County Patriots pounded out 270 total yards and five touchdowns on the ground to eliminate the Northeast Eagles in state semifinal football play, 43-14. Clarksville, TN – The Austin Peay Governors travel to Youngstown State for a Saturday night match-up with the Penguins of the Horizon League, at the Beeghly Center in Youngstown Ohio. Youngstown was a member of the Ohio Valley Conference from the 1981-82 season, through 1987-88, and the Govs have a 7-8 record against them. Saturday’s game is a return contest of the Sears BracketBuster Series.